YWCA Minneapolis announces three new members joining the board of directors: Lakeeta Hill, Carissa Rollins and Bria Shea. Each bring with them a wealth of experience and knowledge to the governing role. New directors are appointed to serve a single, three-year term as members on the board. The board of directors works to implement the organizational strategic plan and advance YWCA Minneapolis’ mission to eliminate racism, empower women and girls and promote peace, justice, freedom and dignity for all. Lakeeta joined Cargill’s Law Department in 2014, leading the Board Operations team. Over the past four years, Lakeeta has directed large, cross-functional regional and global projects of key strategic initiatives and led transformational organizational-wide processes. As the current Director of Executive Administration and Corporate Governance, she currently leads teams that oversee corporate governance, board operations, U.S. subsidiary management, executive administration, common shareholder administration and director relations. For more than 10 years, Lakeeta has served as a strategic thought leader, advisor and partner to senior leaders, holding different positions in the areas of class action administration, corporate governance, corporate and health care law. Prior to joining Cargill, Lakeeta worked for American Family Insurance in the Office of the Corporate Secretary where she was actively engaged in aligning corporate governance with AmFam’s growth, development and restructuring initiatives. Originally from Milwaukee, Wisconsin, Lakeeta holds an MBA with an emphasis in Accounting and a specialization in Health Care, and an undergraduate degree in Criminal Justice Administration. She is a current member of the Society for Corporate Governance, having previously served as both a Society leader, a conference panelist, and as the subcommittee chair of the Private Companies Committee from 2013 through 2016. 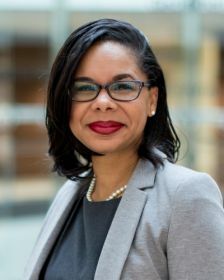 She also served as the vice chair of Cargill’s Ebony Council (CEC) business resource group from 2015 through 2017 and currently serves on the CEC Advisory Board. Lakeeta is married to Jermaine Hill and they have three children. Carissa Rollins joined UnitedHealth Group in May 2017 and holds the position of CIO Employer and Individual. In her role, she is responsible for the strategy, roadmap and technology investments in support of the commercial business portfolio at United Healthcare. 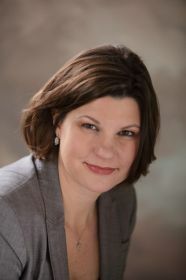 Prior to UHG, Carissa held the positions of CIO and CHRO at Gander Mountain where she oversaw all aspects of the company’s technology and information systems, omni-channel initiatives, cyber-security, and enterprise data and business analytics in addition to all aspects of human resource management. Carissa has also held positions at Kohl’s Corporation, Manpower Global and Miller-Coors. 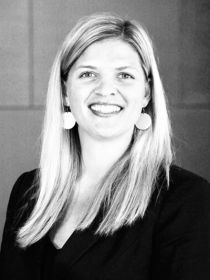 Carissa holds an MBA and Bachelor of Science – Management Information Systems degrees from Marquette University. She resides in Edina with her husband and two boys. Bria Shea joined Xcel in 2014 and currently holds the position of Director, Regulatory Strategy and Analysis. In her role, she is responsible for policy and strategic directions for regulatory matters in state jurisdictions and leads a team in the development and preparation of strategic regulatory initiatives. Prior to Xcel Energy, Bria clerked at the law firm, Jaspers, Moriarty & Walburg and Peterson, Engberg & Peterson in Minnesota and worked as an editor at Thomson West. Bria holds a JD from William Mitchell College of Law and a BA – Communications from Gustavus Adolphus College. She resides in Edina with her husband and four children.